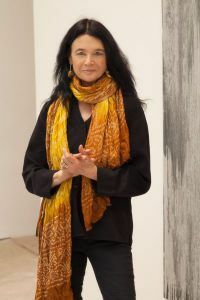 Acclaimed New York poet and activist Anne Waldman presents two public events at Pensacola State College April 21 and 22. She conducts a free, open poetry workshop, “Exploring the Poetry Rhizome: Our Interconnected Imaginations,” from 11 a.m. to 1 p.m., Friday, April 21, at Pensacola State’s Chadbourne Library, Building 20, Room 2051. However, tickets are required for Waldman’s presentation, “Makeup on Empty Space: Poetry in Performance,” at 7:30 p.m., Saturday, April 22, at Pensacola State’s Ashmore Auditorium, Building 8. For ticket reservations and information, call the Lyceum Box Office at 850-484-1847. Recognized in the lineage of Whitman and Ginsberg, and in the Beat, New York School, and Black Mountain trajectories of the New American Poetry, Waldman’s work is energetic, passionate, panoramic and fierce at times. She has authored more than 40 books and, along with Allen Ginsberg, co-founded the celebrated Jack Kerouac School of Disembodied Poetics at Naropa University in Boulder, Colorado. Waldman’s appearances are co-sponsored by the West Florida Literary Federation and Pensacola State College. Tickets for the April 22 performance are $11, general admission; $9, seniors, non-PSC students and children; $7, PSC Alumni Association, PSC Seniors Club, PSC faculty and staff; and free for PSC students.